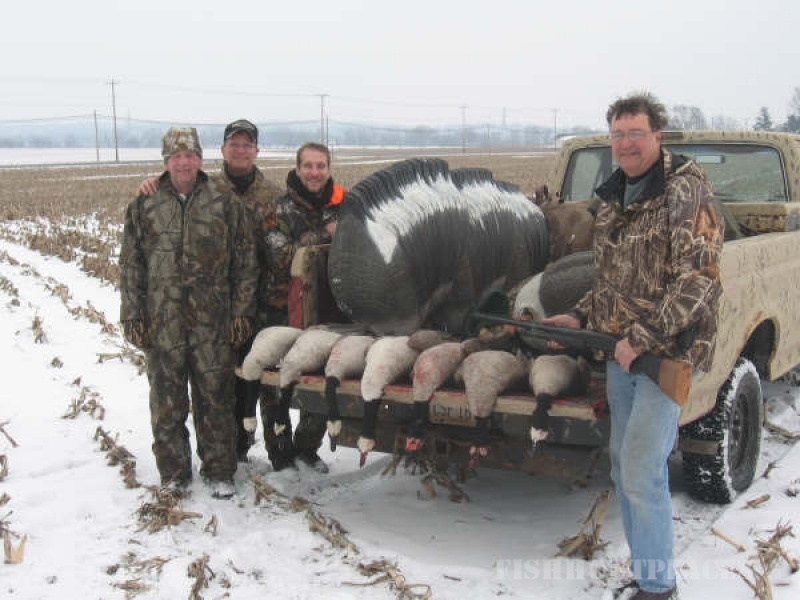 Hi Thanks for stopping by and taking a look at our home page.Central Ohio has a huge population of resident Giant Canada Geese and were right on top of them.We've been hunting Canada Geese in Ohio for 26 years and the geese keep growing in numbers.Ohio's Canada Geese are spreading out all over the state and there on every major water hole in the state.You can come to Ohio and hunt the Giant goose with Goosebusters Guide Service were sure you'll have a great time.Ohio's weather is ever changing and you need to be prepared for the worst in Ohio's late season.The early Nuisance hunt is the best time to hunt the Giant in Ohio. 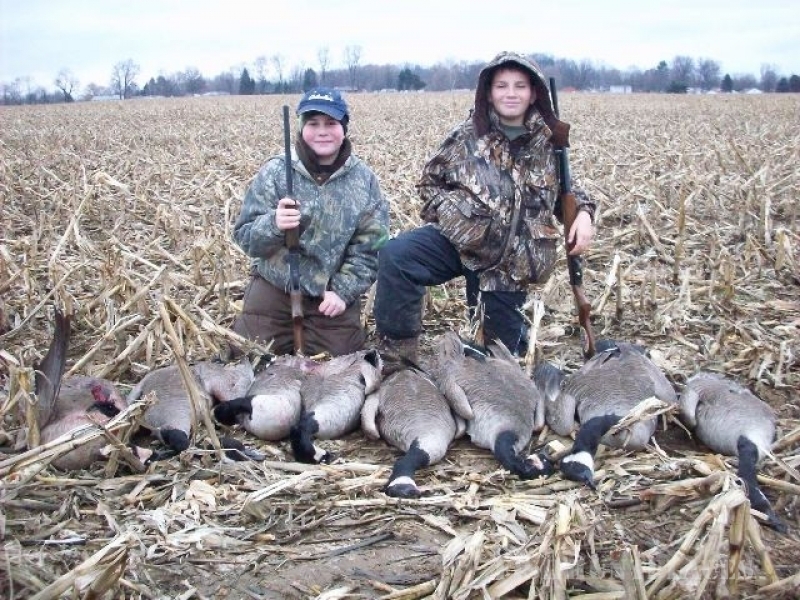 Ohio's wheat crops have been taken off and this is where the geese start feeding getting ready for the long winter ahead. 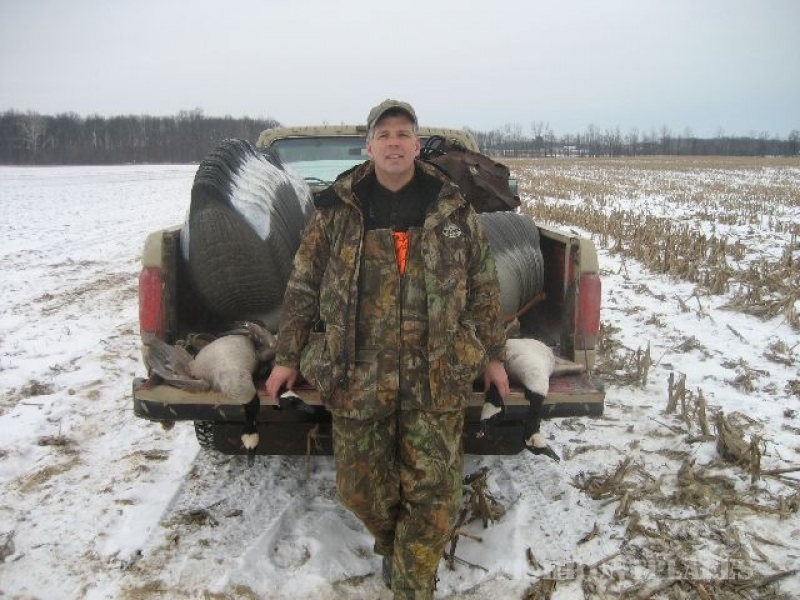 Camo in a tan color with green in it is ideal for the early season and you don't need a lot of decoys for Ohio's early Canada Goose season.These are large birds that Ohio grows and you need large steel shot.We recommend triple bbb's to bring down these large Ohio geese.In central Ohio we don't see many snow geese so we hunt only the Giant Canada and thats what we specialize in.We look forward to hearing from you and we hope you like our page and if your interested in hunting the Giant Canada Goose we can put you on them to fill your bag limit.Our limit in Ohio currently is FOUR birds a day in the early season and two birds a day in the regular season.We've Been Guiding Hunts for 10 Years. 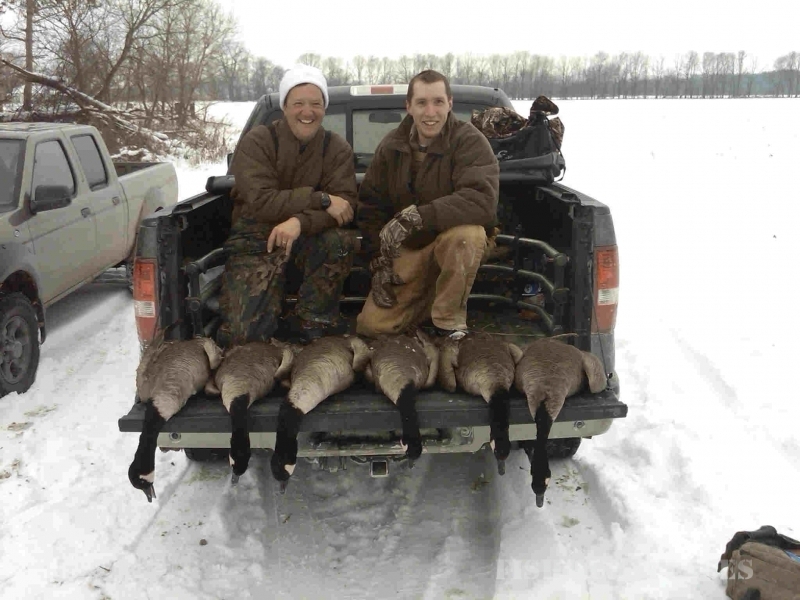 Our guided hunts have been 95% successful.We have taken over 200 birds a year for the last three years and with all the nesting pairs we're seeing this spring we'll have a lot of young birds this fall.For more info check out the links at the bottom of the page or email us and we'll send you one of our new flyers.I love goose hunting in Ohio it's a great sport,and the geese make great jerky, so for your next outdoor adventure come to Ohio and experience a hunt of a life time with Goosebusters Guide Service of Ohio.Thanks and have a great Day ! !